The Nettles family have taken it upon themselves to try to raise funds for a reward that will lead to the arrest, conviction and recovery of their son, Damien Nettles remains. We feel that there are answers to be found on the Isle of Wight. We believe that there are still people with information about what allegedly happened to Damien and who have not come forward. We hope that by offering a reward, we can encourage those people to agree to give a statement about what they know. Only by their coming forward can we progress this case to a conclusion. We have wanted to do a reward by conventional methods and in conjunction with police/crimestoppers for years but have, we believe, been actively dissuaded from this by the police for their own purposes. However, they have said they cannot stop us from doing a reward, so we are taking this opportunity to try. Thank you to everyone for your continued support/contributions. In the eventuality we are unsuccessful getting the required results, we will distribute any funds to UK based charities that deal with the missing issue. 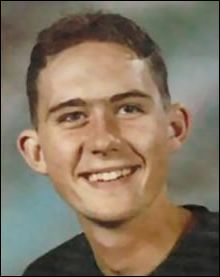 Four of the five suspects arrested last year on suspicion of murdering missing Isle of Wight teenager Damien Nettles in 1996 were released earlier this month. 8 Comments on "Damien Nettles: Please Contribute To Reward Fund To Help Find His Killer"
What a good idea. I hope that this will lead to Damien’s family getting the answers they deserve and finally being able to move on with their lives. What will happen to the money if he is never found and no one is ever convicted? As mentioned in the article, it will go to a Missing persons charity to help others in the same position. What does “actively dissuaded from this by the police for their own purposes” with regard to the reward, mean? The police were probably concerned they would be flooded with calls from people with mere heresay and gossip rather than hard facts and evidence. It is a good idea to offer a reward but I agree, it would be better to have had people pledge their cash.